As Teenage Fanclub take the stage at Birmingham’s O2 Institute, Getintothis’ Paul Higham considers whether the Scots provide the perfect template of how best to grow old together. The question of how best to do deal with the passage of time comes eventually to all bands of certain age. There are a range of options. Some live fast and burn out, exiting the stage before creaking bones and wrinkles begin to take their toll. Seared forever in the mind of their fans is the image of youthful vitality, untainted by growing old. Some will reform later in their career to cash in on a revival of popularity, seeking to monetise nostalgic reverence. For reformed bands, it is often a question of timing. Leave it too late and it looks like an ever-desperate effort in search of that last payday, one that risks tarnishing precious memories. Such reformations too often struggle to rise above the pastiche. And for those that do reform, there remains the question of whether to produce new material. This is too often a lose-lose scenario. Those reliant to trade solely on former glories, content to bash out decade old hits night after night for inflated ticket prices are, often rightly, scorned for their cynical approach (although if people enjoy a journey down memory lane then who are we to judge). However those that do release new material are often vilified for doing so. The inevitable comparisons are made to their career high-watermark output, with new material too often falling short (yes, we’re looking at you, Pixies). Either way it is difficult to avoid tarnishing memories. Further still, what happens if not all parties are willing to engage in a reformation. This at best calls into question the very credibility of the reformation, at worst results in intractable disputes often played out on the public stage. Elsewhere reformed bands are, in effect, little more than vanity projects of one or two members bearing only minimal resemblance to the iconic configurations of their prime. Teenage Fanclub have been lucky. 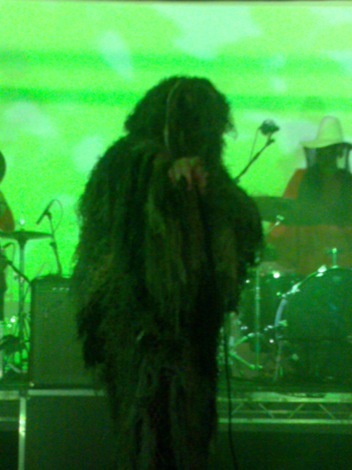 For although their output has slowed to little more than a new album every half decade or so, they have never disbanded. While members, principally Norman Blake and Gerrard Love, have participated in side-projects, these have remained, and been billed as such, very much side projects. Consequently they have neatly navigated many of the problems that have beset other bands of their generation. Equally the band has remained stable, continuing to revolve around its core songwriting triumvirate of Raymond McGinley, Blake and Love. It does seem that you have only split up if you say that you’ve split up. If you essentially stop making new records, indefinitely take a break from touring schedules and various band-members commit to new projects then you haven’t split up. Because you haven’t said you’ve split up, right? This is a situation that Teenage Fanclub have managed with aplomb. Despite to all intents and purposes splitting up, then reforming and then splitting up again they never actually said that they split up, so all has remained well. We said timing was important, and so it has proved. The band have never left it too long between each of their mini-reformations. Indeed the gap between 2010’s Shadows and 2016’s Here has been the longest of their career – although as the average age of their fans heads ever upwards, perhaps it just hasn’t felt that long – yet doesn’t feel like anything other than a band releasing and touring new material. 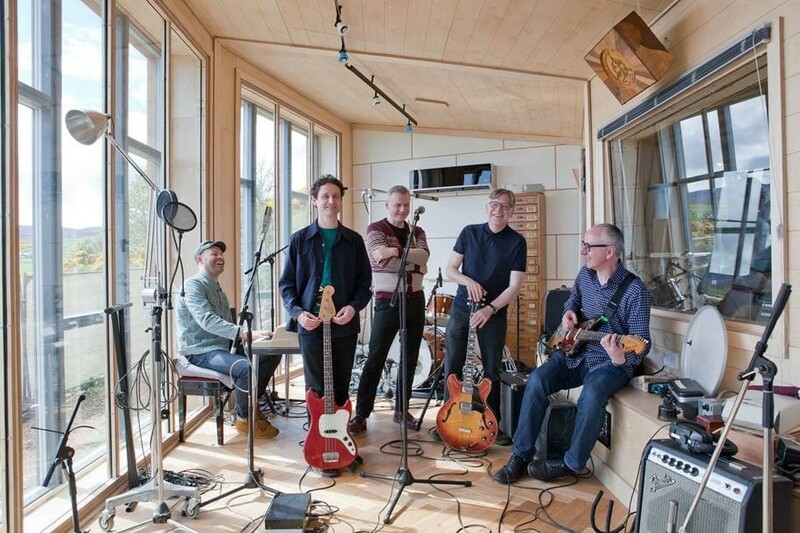 Teenage Fanclub only seem to tour when there is new material to showcase, and the new material is seen in the context of their overall career and not as a comeback after a hiatus. Thus, Here is judged and appraised in the context of their career trajectory and not, say, against Bandwagonesque. There is thus an acceptance that Teenage Fanclub in 2016 are a very different proposition to their 1991 counterparts. And this falls neatly into how to age. Much like fine wines, the best bands mature and maturity inevitably involves change. Where some bands seem impervious to any awareness of time having passed, giving their best impression of having located the holy grail despite all the embarrassing, cringe-worthy, dad-dancing outward projections, Teenage Fanclub recognise that they are now approaching middle-age and have evolved accordingly. Traditional set-closer Everything Flows opens with the lyrics “We get older every year / But you don’t change / Or I don’t notice you changing” and what was once a romantic ode now seems to resonate with the band’s career. Except they do change. And we have noticed them change. Yet we’d rather have it this way than the other. Teenage Fanclub have grown old gracefully and this informs both their music and their live shows. Taking the stage at the O2 Institute in Birmingham it is clear that the Teenage Fanclub of 2016 have long since abandoned the chaotic inclinations of youth. The wild and raucous elements have been replaced by jocular anvuncularity. Bottled mineral water curries favour over hard liquor. Heck, Blake even jokes about that televisual bastion of middle class civility, Strictly Come Dancing, it being a Saturday night and all. This change has equally affected the music that the band create. Initially a band that set squalling abrasion in competition with melodic harmony, the latter has long since triumphed over the former. Perhaps this was their calling all along and the earlier incarnation was on account of the uncertainty of youth and the prevailing wind of grunge and alternative rock blowing across the Atlantic from America. Out of this conflict was born Bandwagonesque, perhaps still and quite rightly the band’s most critically acclaimed record and indeed it must have been tempting to continue in this mould. The influences of Big Star, and to a lesser extent The Byrds triumphed over that of J Mascis and Kurt Cobain. Grand Prix remains a monument to power-pop songwriting, a standard-bearer against which all should be judged, while Songs from Northern Britain charted the course the band would follow over the next two decades, lovely, easy-on-the-ear melodies that bask in a sincere beauty, revelling in their craft without ever truly challenging. Yet sometimes we don’t want to be challenged, we want to know exactly what we’re going to get. The Fannies can too easily be accused of being predictable, and such accusations are not always easily rebuttable. We largely know which way their set will go. Surprises will be few. When Norman announces the next song to be the last of their main set, you just know what it is going to be. Yet The Concept can still ignite; its coalescence of coruscating guitars and melodic intent remains as compelling today as it did all those years ago, causing a swathe of ill-advised middle-aged men (in the crowd, not the band) to engage in what looked like their first physical efforts for some time. If the moshing was half-hearted, the performance of the band was less so. New material from this year’s Here, and there was lots of it, had a greater drive than on record while still retaining its mellow and seductive vibe. Interspersed were classics from their oeuvre, the power-pop romance of Norman’s I Don’t Want Control of You, the sheer perfection of Gerry’s Sparky’s Dream along with Raymond’s forever-catchy ode to profanity, Verisimilitude. There was room for some welcome set inclusions, admittedly at the expense of jettisoned favourites like Your Love is the Place Where I Come From and Ain’t That Enough. Second song, Sometimes I Don’t Need To Believe in Anything from 2010’s Shadows came alive with some effortlessly mesmeric playing from McGinley while Baby Lee from the same album feels as pure a song as anything that Blake has ever penned. My Uptight Life was another welcome choice. So what conclusions can we draw from the polite, reserved and charming middle-aged Scots that we saw on stage in Birmingham. For sure they remain a much-loved and idolised outfit, the love and warmth that permeated the room was heartfelt and genuine. That growing old and maturing is allowed. Alternative experimentalism is fine and absolutely has its place, but so too does understanding what you’re good at. Here is where the ageing Teenage Fanclub excel. This is a band blessed of three songwriters, individual songwriters not songwriting partnerships, who each share lead vocal responsibilities. More and more as they get older the lines blur, the three become as if one. Their harmonies that much purer, sweeter. Their mutual understanding shines through with an effortless musicality. It might feel a tad safe at times, but they’ve grown with grace. The rough edges have been smoothed, the tannins taste less harsh, there is little danger here of embarrassment or of memories being wilfully trashed. The music they now make speaks with sincerity of where they are currently and not where they long to return to. It remains an absolute pleasure to watch them grow with us. Indeed, we “love your trajectory“.